Clear and Amethyst Herkimer Shape Crystals. Origin: Mexico. Sizes: 1/4" to 1/2" Total wt: 14.11 grams. 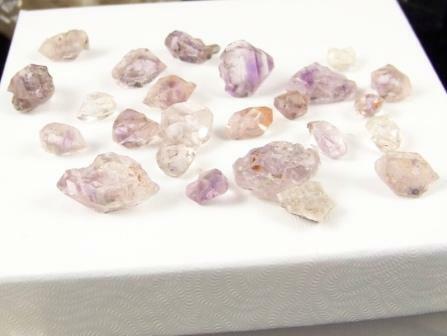 do you have more of the 09-00443 Clear and Amethyst Herkimer Shape in stock?